As Bastrop city leaders weigh the contents and size of a 2015 bond measure, the need to provide for basic services like roads, public safety and sanitation is clear. But let’s not forget initiatives that improve our quality of life. According to the “Bastrop County Community Health Needs Assessment,” published by the Seton Healthcare Family and Community Health Coalition of Caldwell County (November, 2012), obesity rates in Bastrop County are the highest in Central Texas, and residents cite a lack of accessible recreation outlets and a need for nutrition education. In this light, any assessment of city priorities should support funding for a community recreation center. Such a facility will provide a community hub, a safe place for kids, for family connection, for young and old alike, where people can engage in healthy activities, develop new talents, learn about nutrition, build supportive networks and work together on volunteer service projects. If city leaders don’t adequately recognize and support this effort, many of our city’s existing problems will only get worse. And as the saying goes, if we don’t have our health, in the end, we won’t have anything. Here lies the challenge. Everyone loves the idea of parks and rec centers, but no one likes actually paying for them. Parks and Recreation services have long been a target of city councils and municipal budget-makers across the country, with funding cuts being less politically charged than those to emergency services and less immediately noticeable than, say, libraries. But an investment in a new community rec center will yield dividends for years to come in a safer, more connected community and in better public health outcomes. Fortunately, the YMCA has an answer. Across the country, including in Austin, cities are finding YMCAs to be perfect partners in their recreational investments. As a 501c3 nonprofit organization, YMCA ensures that facilities and programs are accessible to all, thus providing the services residents want. But, because YMCA assumes long term operational responsibilities, cities are able to save millions of dollars in their ever-tightening budgets. It’s a clear win-win. The Bastrop YMCA began in late 2010 as a collaboration between the City of Bastrop and YMCA of Austin, in which the organizations co-funded a recreational program specialist position with an office in Bastrop City Hall. Under the direction of Program Director Terry Moore, Bastrop YMCA programs quickly grew in popularity by offering a variety that appealed to all ages, from group exercise and dancing to youth programs such as soccer clinics and cooking. Initially, Bastrop Y programs utilized area parks and church facilities. In May of 2012, the Bastrop Y opened a 1,400-square-foot facility on Main Street with space for group exercise, youth programs, art classes and more. Programming has continued to grow, with the addition of aqua fitness classes and swim lessons at the historic Bastrop State Park Pool, which the Y manages. Since opening in Bastrop, the YMCA has invested more than $500,000 to create “Y Without Walls,” which has helped build thousands of strong kids and families. 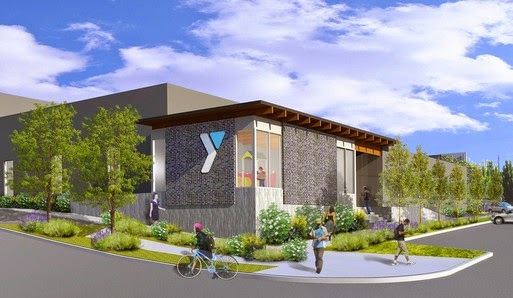 All the while, the Bastrop Y has planned to collaborate with city, county and other partners to acquire land and build a full-facility YMCA similar to Y branches found throughout Metro Austin. The dream has not yet begun to materialize, until now. Such a facility could include a state-of-the-art health and wellness center, gymnasium, indoor pool, sports fields, multipurpose community rooms, locker rooms, computer lab, child watch center and more. But to make the dream a reality, the Bastrop YMCA needs the city’s help. So join me in urging our elected officials to support this initiative with adequate funding for a full-facility Bastrop YMCA. I ask our mayor, city manager, city councilors, and neighbors to consider the Y’s long-term impact on Bastrop, especially the impact on our working parents and vulnerable kids. This is a rare opportunity to create a lasting legacy that will make Bastrop better for all. But it will only happen if we make our voices heard, as citizens. I completely agree!! A recreation center is exactly what Bastrop needs. I would be there 4-5 times a week. Especially if there was also a Racketball Court or two!!?? Let's get together as a community and let those in charge know how this would be a great asset to us all! !